Stuffing is one of those coking topics that can be very personal. Most people remember how Mom made their stuffing at the holidays and there can be no better. Period, end of story. The debate rages on in our house. 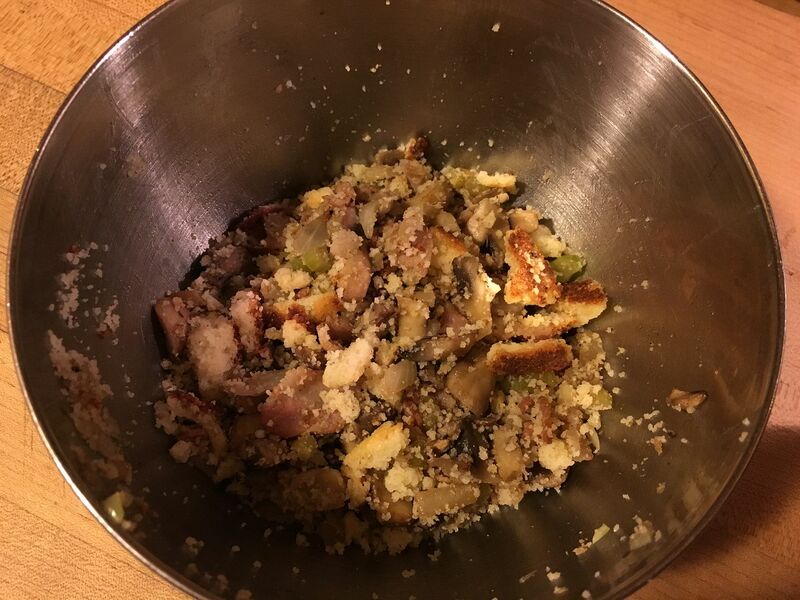 My stuffing, which is a hybrid of my Mother's recipe and Hope's stuffing, 100% her mothers method. Where is this leading? Well, I picked up a few cornish hens last weekend and wanted to experiment with the stuffing. Hope wanted none of that. She wanted her Mother's stuffing, end of story. The good thing about cornish hens is that there are two birds, so everyone can be happy. Once that was decided, I happily set to experimenting in the kitchen. 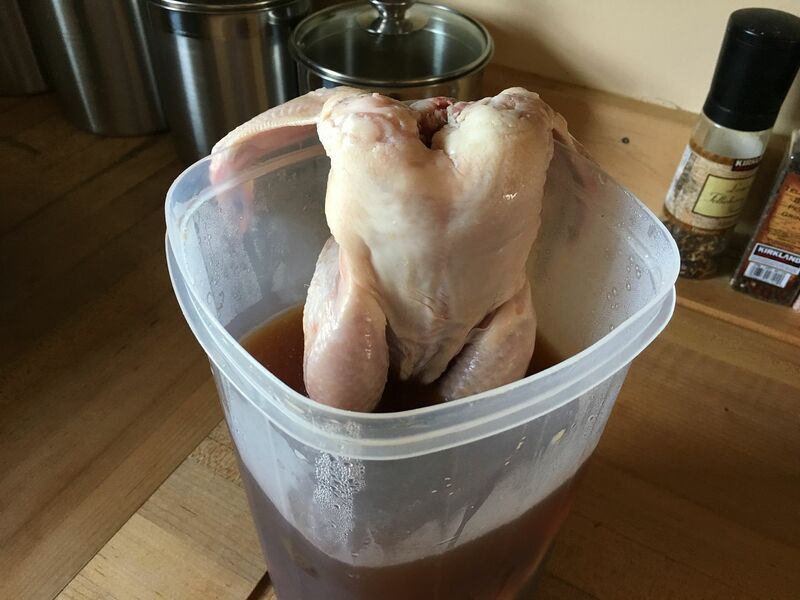 These hens would take a long, lazy spa treatment via a six hour beer brine. 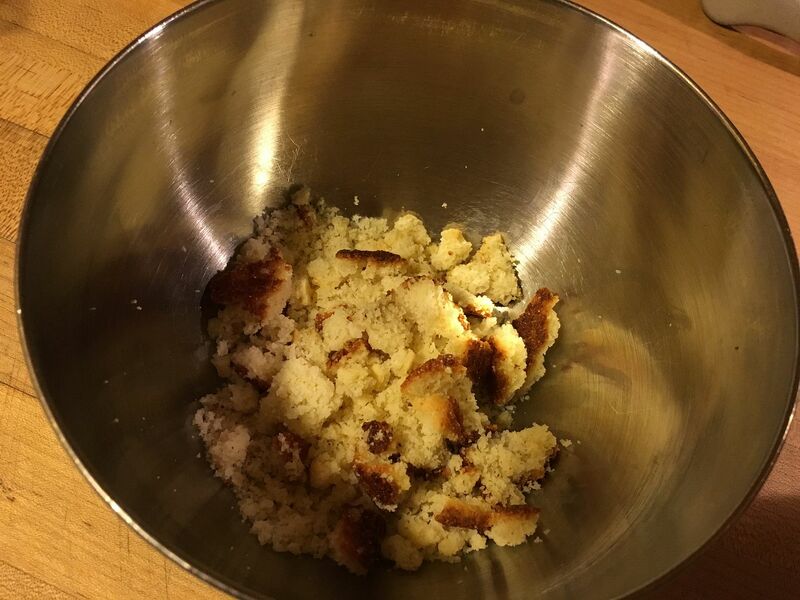 Then, with some leftover homemade cornbread, I prepared some stuffing. Once the birds were seasoned and in the smoker, I finished mine with a Alabama White Sauce glaze. Off to the kitchen we go. For the brine, I used my standard recipe, with a twist. For the liquid, I removed 48 oz of water and substituted four bottles of beer. You could use any type of suds. I used Yeungling lager. After preparing the brine and allowing it to chill overnight, the hens hung out at the spa for about six hours. 1. Add a pinch of cayenne pepper. 2. Remove the sugar and substitute half of the water with apple juice for the sweet component. For the stuffing, I decided on a bacon, mushroom, cornbread concoction. 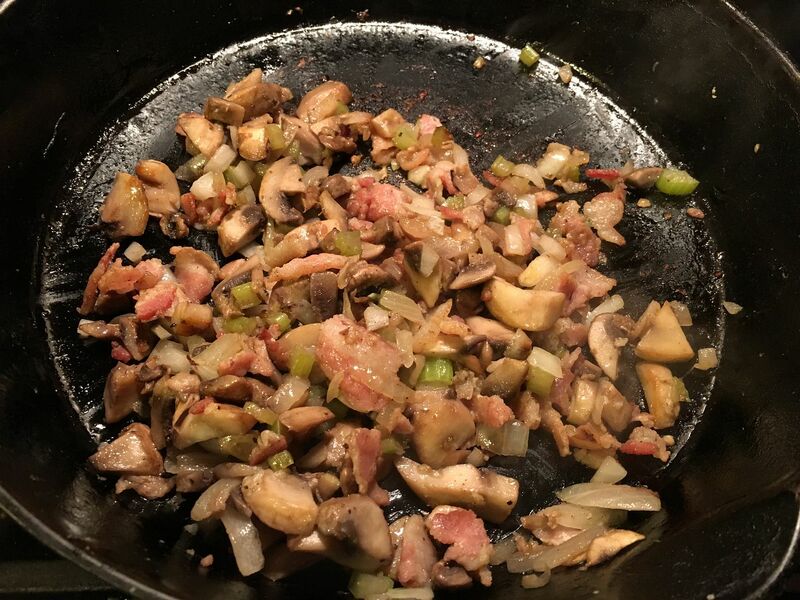 I started to brown the bacon, then added the celery, onion, garlic, and mushroom to sauté. Once the mushroom had started to caramelize, I removed from the stove, placed in the bowl with my crumbled cornbread, added my sage, salt, and pepper, and mixed well. Once the six hour spa treatment was over for the hens, I rinsed them well with cold water and patted them dry. 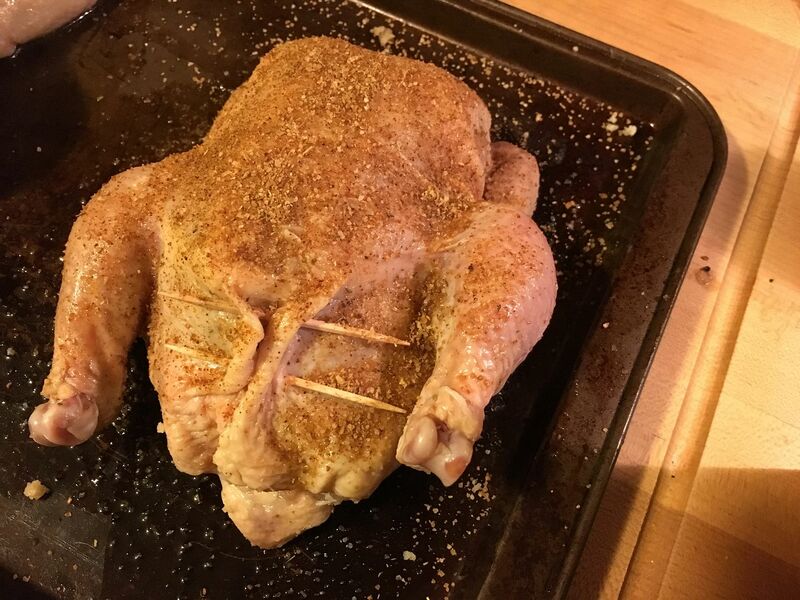 I then stuffed mine with the cornbread stuffing mixture, massaged the outside with some olive oil, and seasoned with some Dizzy Pig Raging River rub. 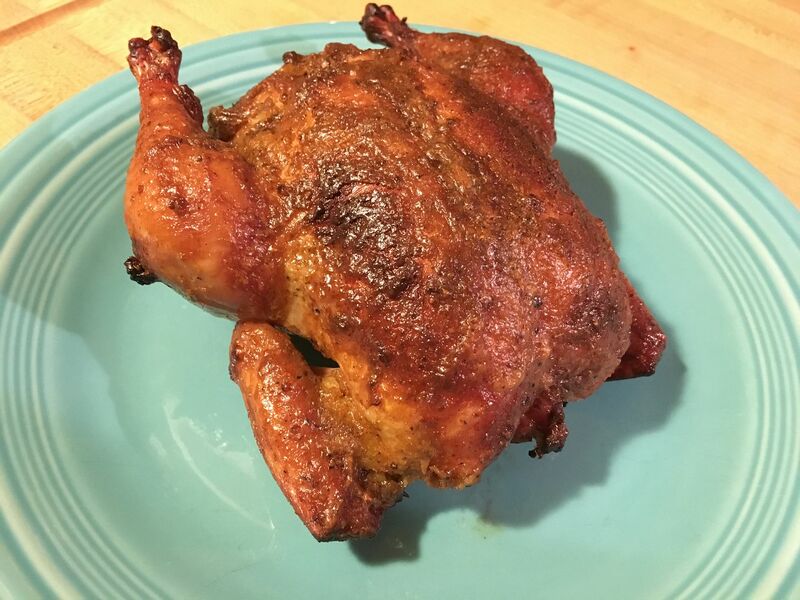 The hens went into a smoker that was rolling along at 350 F with a mix of apple, pecan, and hickory wood in the ash pan. After one hour, I applied the Alabama White Sauce to my bird twice to make a nice even glaze. After thirty more minutes, the hens were at 165 F internal temperature. Ready to remove from the smoker and eat. Overall, I like how this hen turned out. 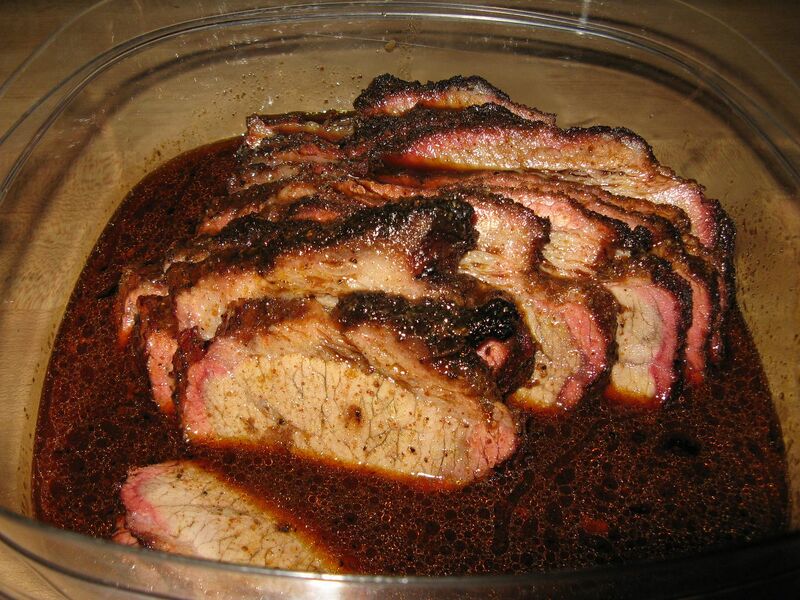 The sauce mixed well with the rub. The meat was tender and juicy. I was surprised at how much flavor the beer added to my standard brine. It wasn't over powering, but it was detectable. 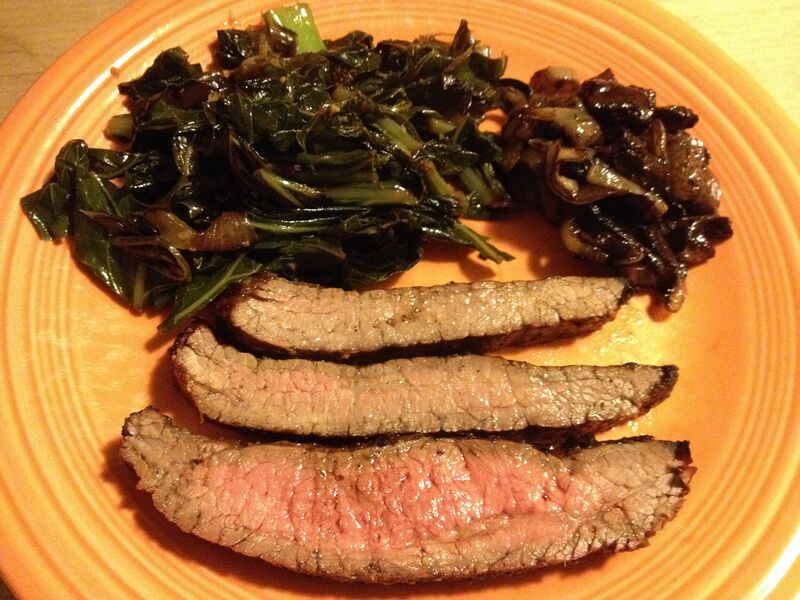 I just may have to try a variation on this recipe in the future. We have had the stuffing conversation too. The addition of water chestnuts took years of debate. The use of Alabama white sauce is definitely a regional thing and was a little surprised of your use. 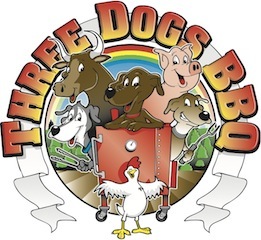 The several times I have tried it I was not impressed. I like the tweaks that I have made to this white sauce. Some I like, some I don't. I can see why you may not be impressed. How do you say Moink in Italian?